Only three hours drive from Auckland it’s time to get away from the world and say Kia Ora to some quality time with that special person. Each villa has its own private spa pool, double monsoon shower, plush super king bed, private courtyard and loungers. 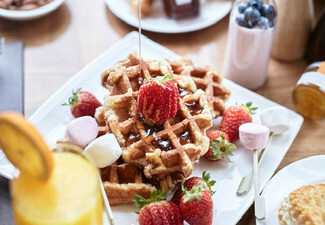 Breakfast is included in your stay each morning. Located on the edge of the stunning Hokianga harbour and right across from the giant sand dunes and it’s only a 15-minute drive from the giant kauri trees Tane Mahuta and Te Matua Ngahere. 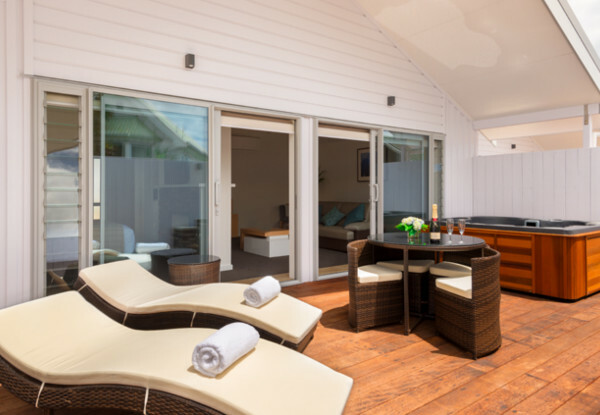 Grab a private luxury villa stay for two people including a welcome drink each, late checkout and breakfast each morning from Copthorne Hotel & Resort Hokianga. 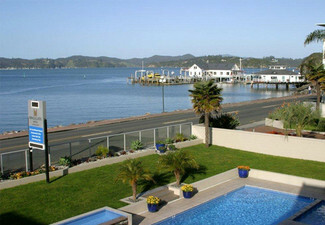 By the quiet water’s edge of the harbour, you’ll find the welcoming Copthorne Hotel and Resort Hokianga, and its 33 rooms and suites. 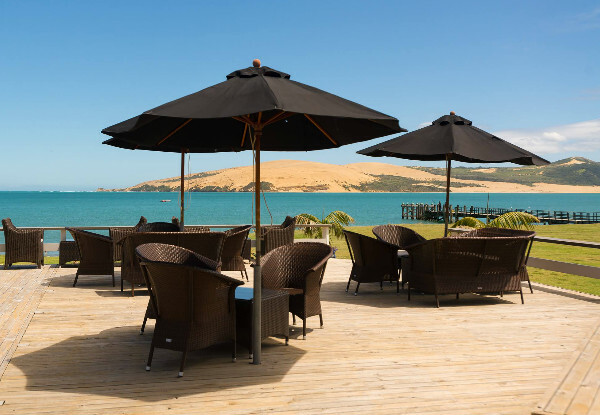 Located in Hokianga, just 3 hours north of Auckland, this four-star Qualmark-rated hotel is an escape from the hustle and bustle of city life. Its beachfront rooms are a minute’s stroll from the shore, and rooms with balconies offer magnificent views of the harbour and sand dunes. It’s also the ideal base from which to explore Omapere. Discover breathtaking landscapes and rare flora and fauna in Waipoua Forest. 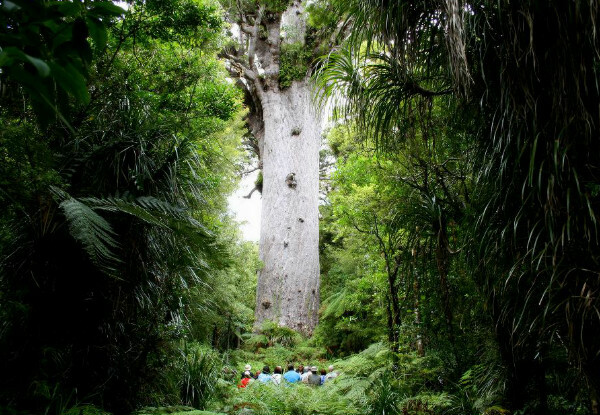 Marvel at Tane Mahuta, an ancient Kauri tree as old as 2,000 years. 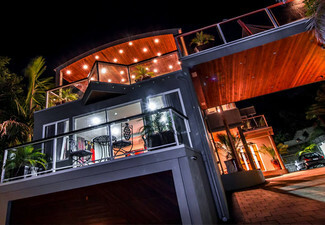 The beauty here is unlike anywhere else in the country, so stay with us and experience a slice of Kiwi paradise.